With 35 delegates at the 2016 CAPSI Professional Development week, the University of Saskatchewan had an impressive showing at the national conference. Congratulations to our team who placed first in the national compounding competition. Team members included Jayesh Changela, Darren Bogle, Madison Schmidt, and Trista Zacharias. Jayesh Changela accepted the CAPSI-Pfizer Consumer Healthcare Guy Genest Passion for Pharmacy Award for Saskatchewan. U of S placed third overall for our 2014 IPSF Health Campaign on Diabetes. This campaign was organized by AJ Havlicek and Heather Hodgson. 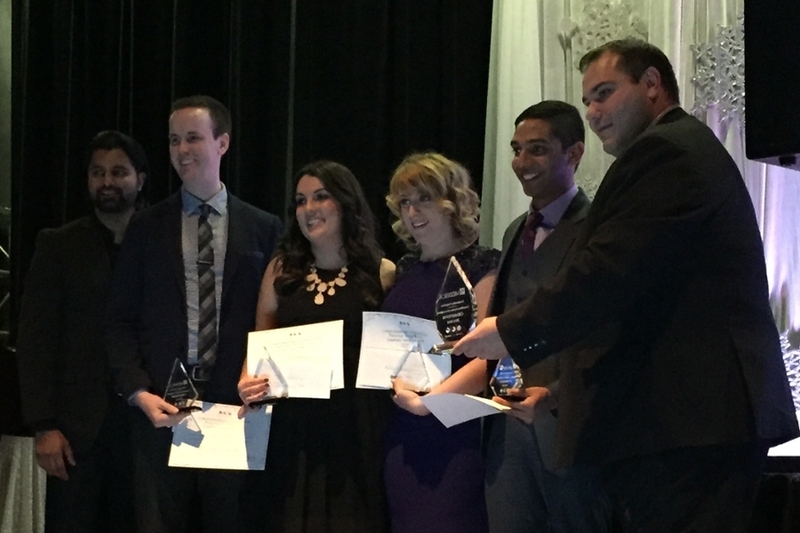 Taylor Raiche’s submission, “Moving Forward by Giving Back: How the Pharmacy Student Can Propel Canadian Pharmacy Practice Forward by Participating in Civic Engagement,” placed fourth in the national Student Literary Challenge. Paraag Trivedi represented the U of S in the debate session and was a part of the winning team. Cara Wirachowsky and Jayesh Changela represented the U of S by competing in the national Patient Interview and Over the Counter Counselling competitions. Jaydon Tsui competed in the national “Canada’s Next Top Pharmacist” and impressed the crowd with his saxophone playing skills and break dancing. The CAPSI National Council met during the four days of the conference and discussed pertinent topics and strategic planned for the upcoming semester. National Council members from U of S include, Kelsey Joorisity (CAPSI Senior), Kaitlyn Tress (CAPSI Junior), Paraag Trivedi (Finance Officer), Shelby Scherbey (Executive Secretary) and Caitlin McGrath (President-Elect). Sophie Chatillon successfully ran for and was elected into the National Finance Officer position for the 2016-17 term. Caitlin McGrath will successfully transition and become the President of CAPSI National in the 2016-17 term. Kaitlyn Tress will transition to the CAPSI Senior position for the 2016-17 term. Congratulations to all those who proudly represented the U of S!